Owing its lineage to the mystical mountains of Darjeeling, this tea is a worldwide favourite. Goodwyn only enhances the everyday experience by bringing you the preferential lot of their selection straight from their homegrown Tea Estates to your tea pots. Appreciated and savored all over the world, the classic Darjeeling tea is a black tea that doesn't require any occasion to be enjoyed. It's the tea connoisseur's first and last choice for all times. 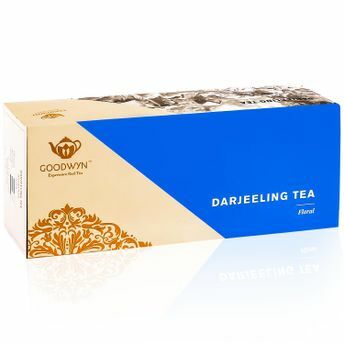 Buy loose Darjeeling tea to enjoy the authentic taste of Darjeeling.